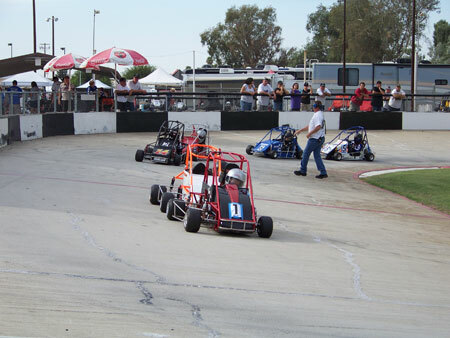 For over 50 years, kids have been showing up at clubs across the US to race little cars, called Quarter Midgets. Families have devoted countless hours to building small little race tracks to include Towers, Hot Chutes, Scale Houses, Grand Stand Seating and Concession Stands. The people who build these facilities are families, moms and dads, aunts and uncles, grandmothers and grandfathers. To most of these volunteer people, the only thanks they get is the fact that they created a playground for little children to achieve, mature and live kind of a fairy tale life.... (so to speak) for just a short time of their lives. For many families, it becomes their lives. One such family is the Jerry Mostek Family. Jerry and Carol Mostek began racing with their children.... way back when? It's been many years. Jerry saw a need in his area to begin helping others with their engines, just as he did for his own children. He devoted himself to start his home business of MRE. It wasn't planned that way, it just happened. Years later, Jerry eats, breathes and lives Quarter Midget Racing. He has worked for many years in the sport helping and supporting many families. He has served the National Board by doing TECH at many National events. He served on the National Board as the National TECH Director. 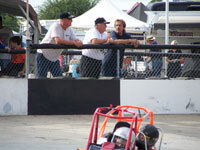 In 2007, Jerry was honored at the Eastern Grands in Xenia, Ohio. 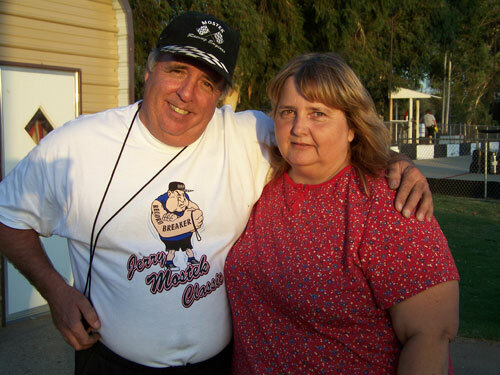 That event marked the 25th straight Grands that Jerry has attended. 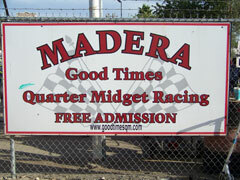 The Madera "Good Times" Club decided to name one of the legs of the California Monza (the longest running Series in all of QMA) in honor of Jerry Mostek. The 2009 Jerry Mostek Classic was certainly a hit. You can still sign the Guest Book for Jerry.